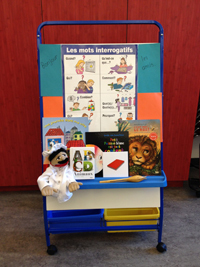 North Vancouver City Library offers two storytimes in French – one for preschoolers and one for children aged 5 and up. The North Vancouver City Library maintains a comprehensive French section on its website featuring French book lists by age/grade and links to useful French-language educational websites. Next Next post: BC Family French Camp 2014 – registration still open!